I finally got my new pressure cooker/slow cooker. I was going to get the Instant Pot, but every time I went to order it, it was back ordered. 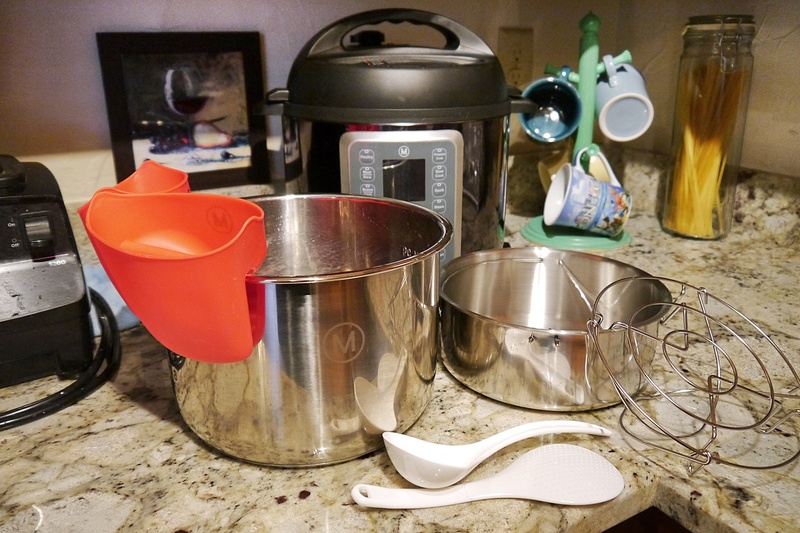 Then I stumbled on the Multi-Pot and it had all the features I was looking for – stainless steel insert, steaming rack and stackable pot to cook two items at once. It also came with some fun accessories – silicone mitts, which I found invaluable, and utensils. Operation is very intuitive, so I’ve barely opened the instruction manual, so that was a plus and it comes with a link to a website with hundreds of recipes. My thought going forward is that I will try out a recipe a week, rate it and offer my tweaks. Been curious about how they are. Keep us posted. which model did you get? I am thinking of getting one myself. Mealthy 9 in 1 Multi-Pot. Weird name, nice pot. LOL Amazon.